I’ve never been shy about declaring my love for all things Scandinavian so when I came across an event combining my favourite television shows with delicious Scandi cuisine I couldn’t resist booking a place. Tickets were on the pricey side at £25 per person but my love for the Nordic people (and their cinnamon-rich bakes) runs deep so I happily parted with my cash and caught the bus to Brick Lane this morning. If you are familiar with the event you may already be aware that the weekend didn’t run quite as smoothly as anticipated and I admit I was disappointed with much of it today. Just as the Scandinavian’s have a reputation for being über-wealthy, long-limbed blondies, we Brits have, over time, garnered the reputation of being always up for a bit of a moan. Not to be labelled as ‘just another whinge-bag’ I thought I’d share some of the elements of the day that I did enjoy. These women know the secret to a happy life. Hint: It includes cardamom. I started the day by attending a really interesting panel discussion entitled ‘Eat Like a Scandi’ – now that is an event I can get right behind! 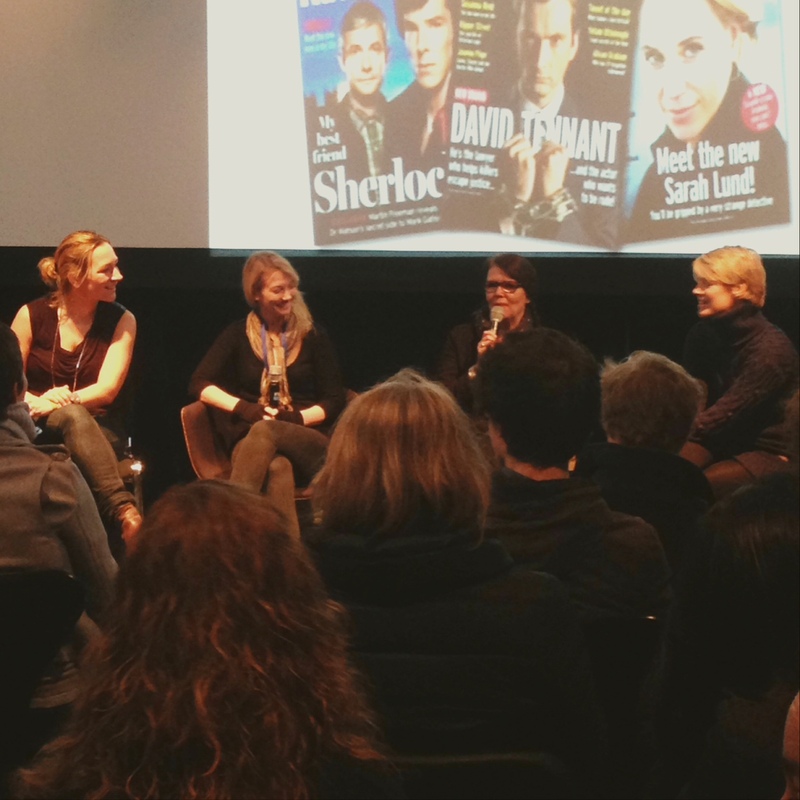 The panel consisted of celebrity foodies Signe Johansen, Trine Hahnemann, Anette Moldvaer and Bronte Aurell. Food plays a big role in Scandinavian life and the conversation and questions which followed revealed a lot about Scandinavian values. For example, did you know that their is a huge coffee culture in Scandinavia? I learned today that a whopping 75% of Brits choose instant coffee for their morning kick whereas our Nordic counterparts won’t entertain anything other than freshly brewed. This was probably my favourite element of the day because it revealed so much about their culture and how they achieve that elusive ‘happiness in one’s own skin’ they seem to radiate. Family time is not up for discussion – it’s an integral part of daily life. There was a real sense of reading the seasons as the panellists regaled us with tales of growing up in Norway and Denmark and foraging to make jams and cordials that could be enjoyed long into the winter months. And they love to use spices in their cooking, especially cardamom and cinnamon which stems from the opening of trade routes all those years ago. Yum! Note: the small portion did not equate to a similarly small price. 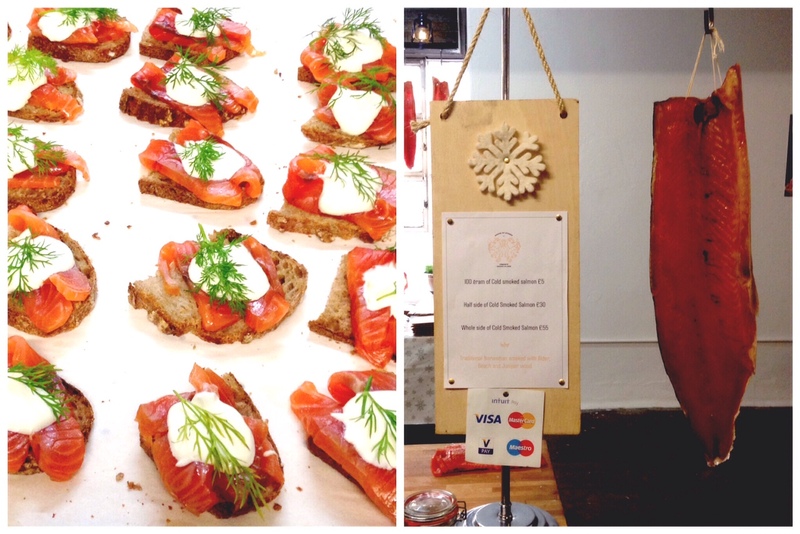 After my introduction to Scandi eating habits I headed straight into the expo – mouth watering – to sample some yummy salmon with dill and cream cheese on rye bread – so nice – before trying in vain to get into not one but two screenings. I retreated back out into the main hall and sampled a traditional cinnamon bun and a coffee. This was delicious! I picked up a couple of cookbooks, the delights of which I hope to sample sooner rather than later. If you’d like to follow how I get on feel free to subscribe! Much later and it was time for the cinnamon bun judging competition and this time Signe, Bronte and Trine were joined by Great British Bake-Off winner John Whaite and Borgen composer Halfdan E. Those who had baked nervously awaited the experts’ critiques from their seats in the audience and the winner kindly shared some of her baking secrets. Her delicious buns sounded like they took an awful lot of work so I will likely make up for lack of extensive proving with generous sprinkles of spices in my dough, when I finally get round to trying them out that is! Lastly I managed to squeeze in to see a special screening of my current favourite Scandinavian show, The Bridge. This was introduced by the Swedish Ambassador in London and was followed by a Q&A with one of the show’s stars, the charming Sofia Helin. I did take a few pictures but I was so far back I may as well have been standing in another room so they didn’t come out very well. The show itself was brilliant, as usual and it was really interesting to hear Sofia’s thoughts on her character, the show and her aspirations for the future. Overall there were many issues to deal with on the day which a lot of people have already covered so I won’t bother adding to the list here. What I would say is the celebrity attendees were wonderful ambassadors for their respective countries and dealt with numerous hitches with grace and good humour. One thing I am really excited about is a future visit to Bronte Aurell’s London-based Scandinavian Kitchen to try her famous open sandwiches and, of course, a cinnamon bun! Am also a fan of all things scandi , even have a reindeer jumper. 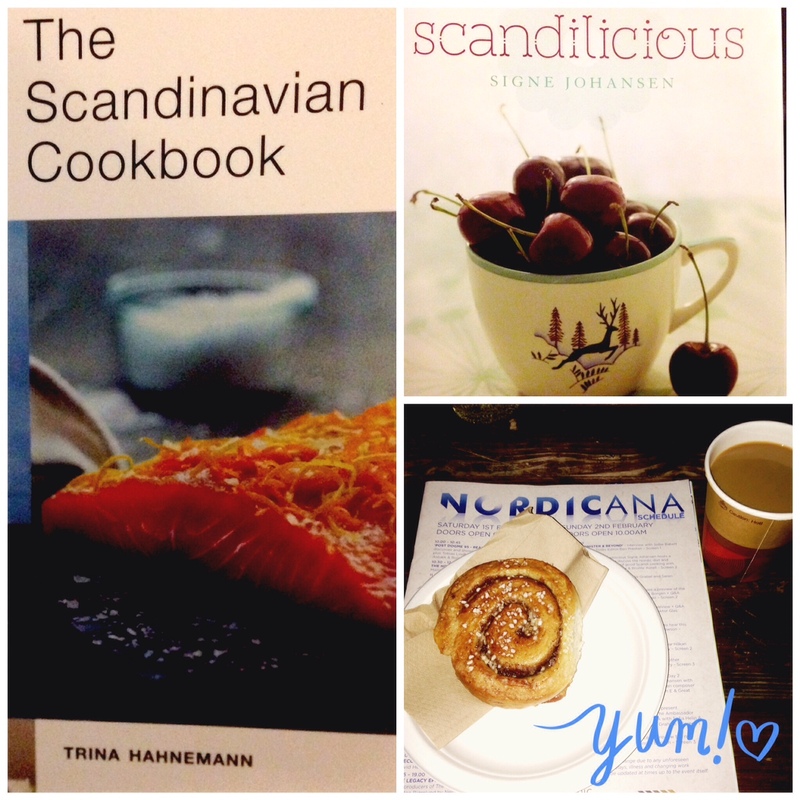 Bought scandilicious baking book this week so will keep u updated about my cinnamon buns and post one out to you. As always I really enjoyed reading your blog.